Discussion in 'iPhone and iPad Games' started by touchy85, Nov 16, 2016. Launch sale 50% OFF! Get this now. 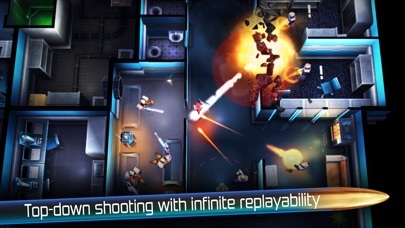 Get This Now: TouchArcade 5/5 Kickmygeek.com 9/10 148apps.com 4.5/5 Neon Chrome is an infinite twin-stick top-down shooter with procedurally generated levels and destructible environment. Choose your character, enter the elevator and try to bring down the Overseer - again and again. 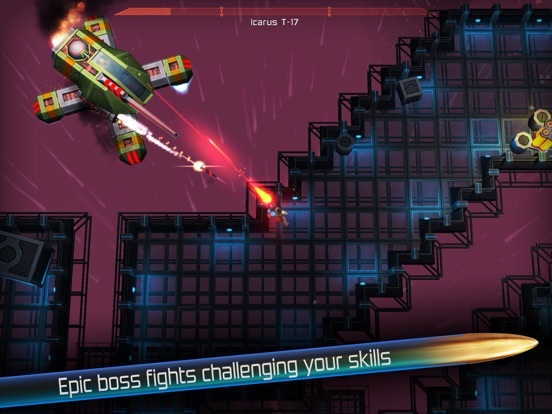 Neon Chrome is an endless symphony of fight, die, improve and repeat - many players have over 100 hours logged! 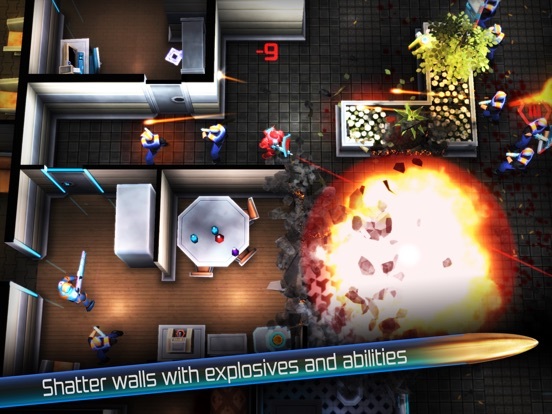 Neon Chrome is high end game filled with massive explosions, destructible environment, countless bullets and rich AI behavior. 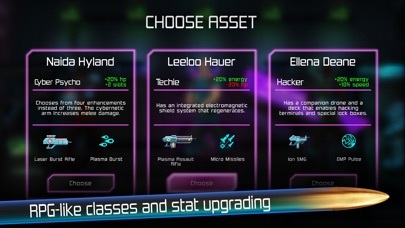 The game is completely playable with older devices like the iPhone 5, 5c or 1st gen iPad mini, but optimally you should use a device released less than two years ago. 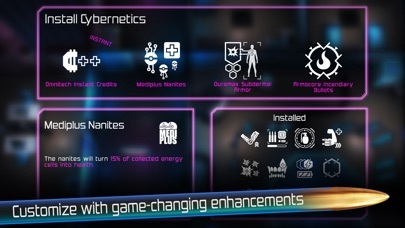 - Procedurally generated levels - true endless replayability - Completely destructible environment - Persistent RPG-like character development using loot from your runs - Enemies ranging from security guards to massive boss hover tanks - Perk system in the form of cybernetic enhancements - Discover & unlock enhancements, abilities and weapons - MFI controller support & Game Center achievements Neon Chrome was created by 10tons - the company behind the cult hit game Crimsonland. How bad is it, really? Or is there a camera zoom option? [...]on iPhone SE and absolutely no issues with the game. ...I guess I'll just get it already. I've been playing on a 7+ and it's fantastic. Controls are great and tons of content/unlockables. 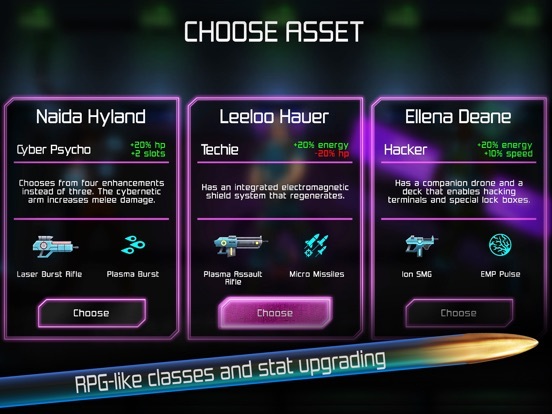 We played some Neon Chrome iOS 20:30 CET at http://twitch.tv/10tons. Thanks for watching! Hands down, bar none, the best dual stick roguelike on iOS today. 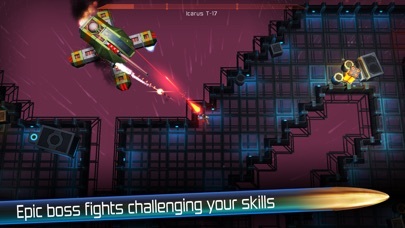 I don't wanna get into specifics, but 10tons had already crafted an incredible game with the PC version, and I will argue to the death that the iOS version is the definitive version of Neon Chrome and a masterpiece. 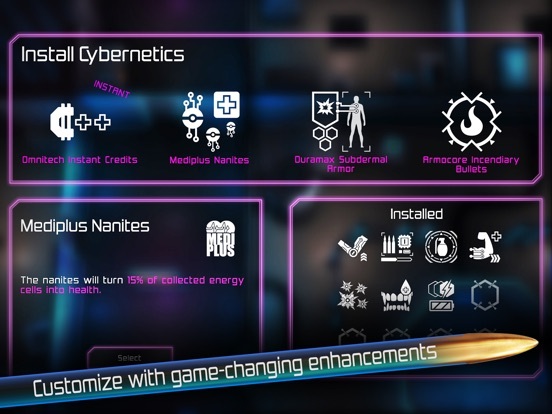 If you're into games like Leap of Fate or Feral Fury, you should already be downloading this. Not sure about first sentence but last is def true. The app description says "infinite" Does that mean the game doesn't have an ending? I'm on my way to beat overseer 3.0 on steam and I will totally play all the way through it on ios as well. I really really recommend this game. 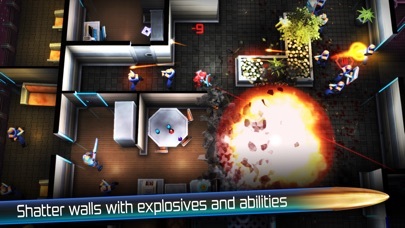 In my opinion it is the best twin stick shooter out there. You can beat the game by fighting your way up to the top of the megabuilding. I won't spoil the ending for you, I will just say that you can play the game again with a higher difficulty each time. As I said in the post above I am on my third playthrough on steam and still keep finding new stuff. It gets decidedly mixed reviews on other formats - looks ace but from the POV of someone who only has a passing interest in this genre the reviews are putting me off. It's Very VERy dark. I can't really see a lot of the walls, sometimes it looks like a clear path just to find out I'm blocked by SOMEThINg. Or I can't see the holes in a wall then the enemie sees me from the other room. Side note: is there no reload button ? Better than Leap of Fate? Haven't played near as much as I did Leap of Fate (yet!) but so far I can say for sure! Didn't the PC version have co-op? Not seeing it as a feature for this one. 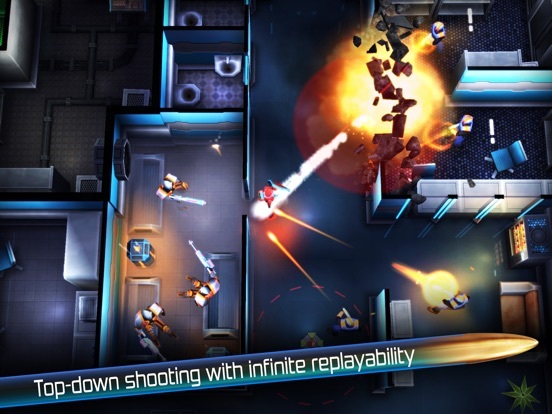 I helped beta test the iOS version of this game and the praise is well-deserved. I was also really impressed with the game's neon-styled artwork. Think you guys could archive that so we can watch it?